Over the President’s Weekend, my family and I drove north from our Southern California home up the coast to Santa Cruz. We had one important mission – ride the rails at the Roaring Camp Railroad. With three boys age 6 and under, trains are a hot item in our house and while the boys had been on a commuter train before, this would be the first time they had been on – or even seen – a steam locomotive. Nestled into the Santa Cruz mountains, the Roaring Camp area was first settled in the 1830s, followed by the start of a sawmill and the addition of the narrow-gauge steam engines to haul redwood trees down the mountain. The steam engines that you get to ride on date from 1890 and give you the experience of the speed, sounds and smells of the past. Tip: The trains are open-air so check the weather before you go and pack layers if necessary. Roaring Camp railroad offers two routes: the Redwood Forest steam train that takes you on an 1:15 hr round-trip journey through the redwood forest, up to Bear Mountain and back, and the Santa Cruz Beach train that takes you from Roaring Camp to the Santa Cruz Beach Boardwalk and back again, a 3-hour round-trip trek not counting time you may choose to spend at the Boardwalk. Tip: Check the schedule to see which routes and times are available based on the time of year. The town exhibits and food options are limited in winter and spring. While you wait for your train to depart, you can enjoy the re-created 1880’s logging town complete with gold panning, blacksmithing, candle-making, and general store knick-knacks. Food is available for purchase (though in off-season February the only choice was pre-made sandwiches from the General Store), but you can also bring your own food to eat beforehand or on the train while you ride. My kids had a blast seeing the huge locomotive blow off billows of steam, stayed interested in the sights and sounds of the ride and the town, and generally enjoyed themselves. Ticket prices are a little steep in my opinion ($19-$28 per person plus $8+ for parking), so if you have a train-lover and decide to visit, I’d recommend going in the spring or summer so you can enjoy all the offerings of the town before and after your train ride. You can learn more about the Roaring Camp Railroad, see the train schedule or buy tickets in advance by visiting www.roaringcamp.com. 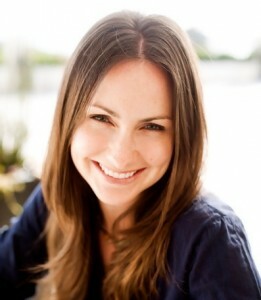 Kate Bayless is a writer, editor and reviewer based in Southern California. Visit her on LinkedIn, Twitter or Contently. This is not a sponsored post. Complimentary tickets were provided. As always, opinions expressed are the author’s.